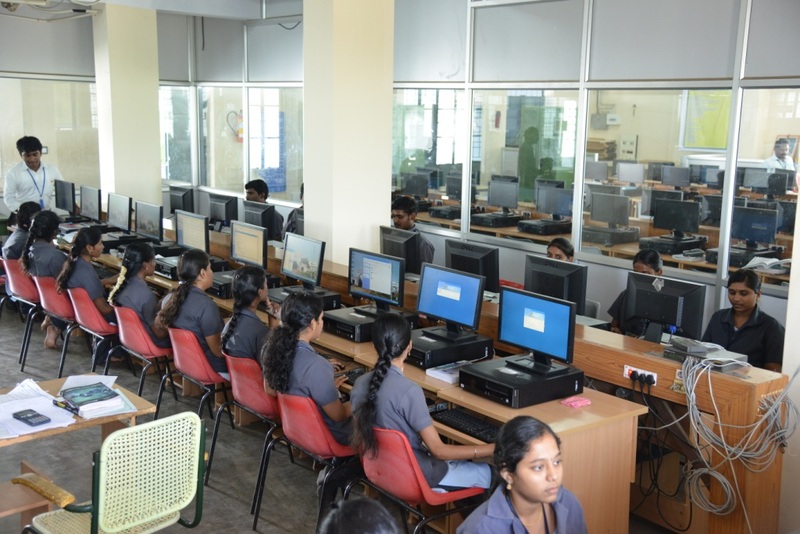 Computer Science and Engineering department has reached the acme of technical excellence as a result of a confluence of outstanding experts between highly qualified contingents of compendious faculty. Our department visualizes for equipping our students with advanced technology to cater to the requirements of Industries. 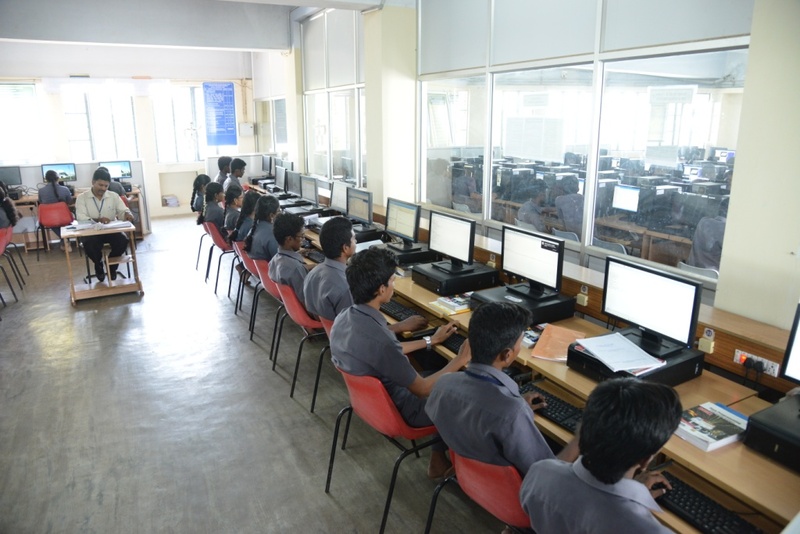 The Computer Science and Engineering programme has started in the Academic year 1998-1999 with an intake of 45 and strength was increased as 60 in the Academic year 1999-2000. The department has produced University Rank holders during the year 2002, 2003, 2013, and 2014. 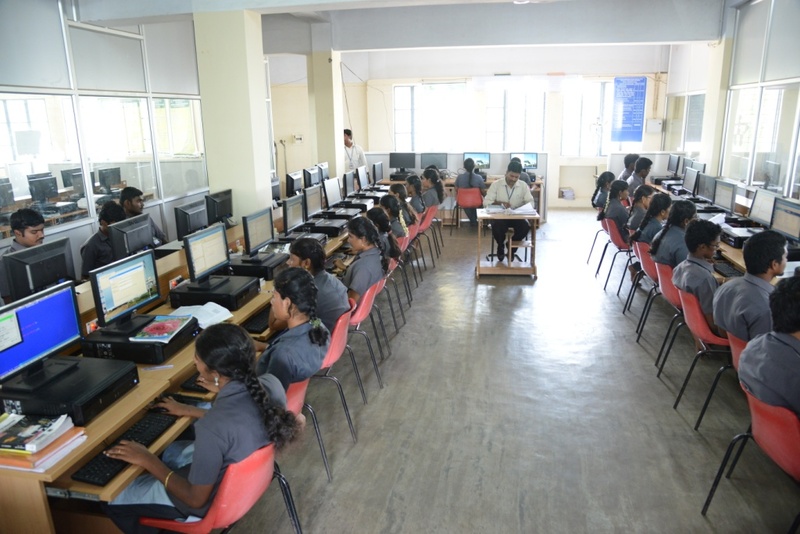 To impart sophisticated engineering know-how in the field of Computer Science and Engineering, purposeful research and sound personality development which help in apt application of technology in moulding young minds into successful professionals. To produces competent and highly motivated Computer Science and Engineering graduates. To evolve confident and enthusiastic professional with positive frame of mind. To exhort the spirit of professionalism beyond academic excellence. 9. Mrs.S.Nithya Assistant Professor B.E., M.E. 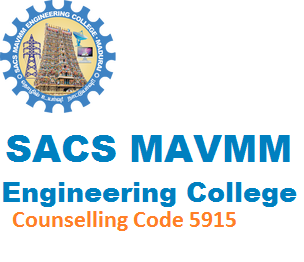 10 Mrs.E.Vijayalakshmi Assistant Professor B.E., M.E. P1:To provide graduates with a solid foundation in Mathematics, Science and engineering fundamentals required to solve engineering problems and also to excel in post graduate programme / research or to succeed in Industry / Technical profession through global, rigorous education. P2:To train graduates with good scientific and engineering breadth so as to comprehend, analyze, design and create novel products and solutions for societal problems..
P4:To provide graduates with an academic environment, aware of excellence, leadership, written ethical codes and guidelines, and life-long learning needed for a successful professional career. This lab is equipped with a Rational Rose Server and 35 IBM-Intel Core 2 quads nodes at 3.00 GHZ. These Systems are powered with two numbers of 5 KVA UPS with one hour backup. This lab is breezed by 3 numbers of 2 ton split air-conditioners. This laboratory is enriched with Rational Suite, Argo UML, Visual Paradigm, Eclipse IDE, Network simulators, Java & Open GL software. Learn socket programming, simulation tools, and various networking protocols. Understand the structure and functions of operating system, processes, threads, scheduling algorithms, the principles of concurrency & Deadlocks, memory management schemes, and file systems. Know the basics of Linux system and perform administrative tasks on Linux Servers. Learn linear data structures – list, stack, and queue. Be exposed to the UML design diagrams and the software testing techniques. Be exposed to creation of 3D graphical scenes using open graphics library suits. Learn to create animations, multimedia presentations, game & project. This lab is equipped with a Red Hat Linux Server and 35 numbers of DELL-Intel Core 2 Quad Q8400 Systems. These Systems are powered with two numbers of 5 KVA UPS with one hour backup. This lab is breezed by 2 numbers of 2 ton split air-conditioners. Be exposed open source environment and open source packages. Learn Kernel configuration, compilation and installation. Learn virtualization, Package management, Version Control System. Know open source languages Perl, Python, Php. Be exposed to the different cipher techniques DES, RSA, MD5, and SHA-1. This Lab is equipped with Oracle Sever and My SQL Server, Lenovo-Intel Core 2 Quad Q8300, 4GB DDR 2 RAM with 35 nodes, 3 Printers and HP Document Scanners are available in this lab. The Systems are provided with three numbers of 5KVA UPS with one hour backup. Exposed to Relational Database management system. User interface design in Visual Studio . Exposed to handle other Database system like My Sql, . C & C++ System programming. This lab is equipped with EDUSAT Server @ 2.80 GHZ. This lab is powered with two numbers of 7.5 KVA UPS with one hour backup. This lab is breezed by 3 numbers of 2 ton split airconditioners. Hewlett Packard – Hp dx2280 MT, Intel Pentium D @2.80Ghz processor along with Video input display adapter, Sony digital video camera recorder with adapter and Virtual Lab Server with Intel Core 2 Duo E6550 @ 2.33Ghz processor. Also with SAT Equipments BOSCH - Plena mixer amplifier with cable set and 2 channel speakers, MIPRO – Wireless amplifier with cable set wireless MIC with, HUGHES-Router(HN7700s) with adapter, SAT antenna with LP, off-ku, Refi-ku, NPM ACCku. Students are able to learn pronunciation, accent, stress and all other aspects of the phonetics of a language. The electronic devices used in the laboratory will stimulate the eyes and ears of the learner to acquire the language quickly and easily. The laboratory’s collection is designed to assist learners in the acquisition and maintenance of aural comprehension, oral and written proficiency, and cultural awareness. Effective communicative training programmes can be given through the lab. General documentation, software documentation and all forms of technical documentation can be done. The language laboratory enables one to conduct courses for various groups of people like students, faculties, businesspeople, etc. Online courses and paperless examinations can be conducted through the language laboratory. Hp Proliant ML 350 Intel Xeon Server, Internet Linux Proxy and Firewall Server and IBM E-Server with 60 numbers of Lenovo – Intel Core 2 Quad Q8300, 4GB DDR2 RAM, are available in this lab. The systems are provided with two numbers of 7.5 KVA UPS for 2 hours backup. Students can get the benefits of uninterrupted internet services with 4MBPS Broadband RF Connectivity. This lab timing is extended up to 7.00 pm in the evening for the benefit of students. This lab is equipped with 51 numbers of IBM systems and 20 numbers of INTEL systems, These Systems are powered with 3 numbers of 7.5 KVA UPS and 1 number of 5 KVA UPS. This laboratory is enhanced with Ubuntu Linux, C, C++, Java. The laboratory’s collection is designed to assist C programming. Effective MSOFFICE package training program can be given through the lab. Students are able to learn object oriented programming. Students are able to learn linear data structures – list, stack, and queue.